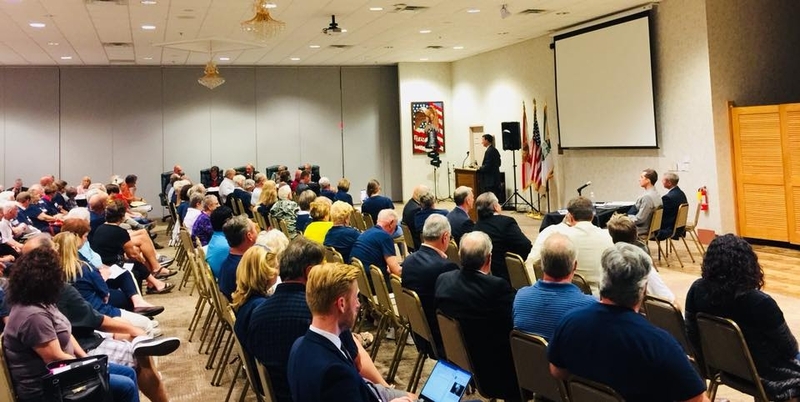 APOPKA, FL (April 12, 2018) – In front of more than 400 hundred Central Florida residents, Signature H Property Group won unanimous approval in a 5-0 vote Wednesday night by Apopka City Council on the Planned Unit Development rezoning needed for the re-development of the existing Errol Estate and country club into New Errol and the Staghorn Club & Lodge. Signature H once again presented to the City Council its comprehensive plans to reinvigorate this deteriorated golf community with $175 Million+ investment, including a repositioned and newly-designed championship 18-hole golf course, state-of-the-art clubhouse and banquet hall, a 40-room luxury boutique hotel, community water park, 261 new homes, and a senior campus that includes a resort-style 180-unit assisted living and memory care facility as well as a 60-bed post-acute rehabilitation center. Originally built in the 1970s as a highly desired and beautiful golf subdivision, Errol Estate has since fallen victim to what many golf course communities in the country have experienced. Poor management and an economic downturn resulted in the golf course closure, dead fairways, overgrown greens, lakes turned into swamps, downed trees and debris piles left to rot. Sadly, once-lovely golf course views have now become distant memories of a better time and higher home values. 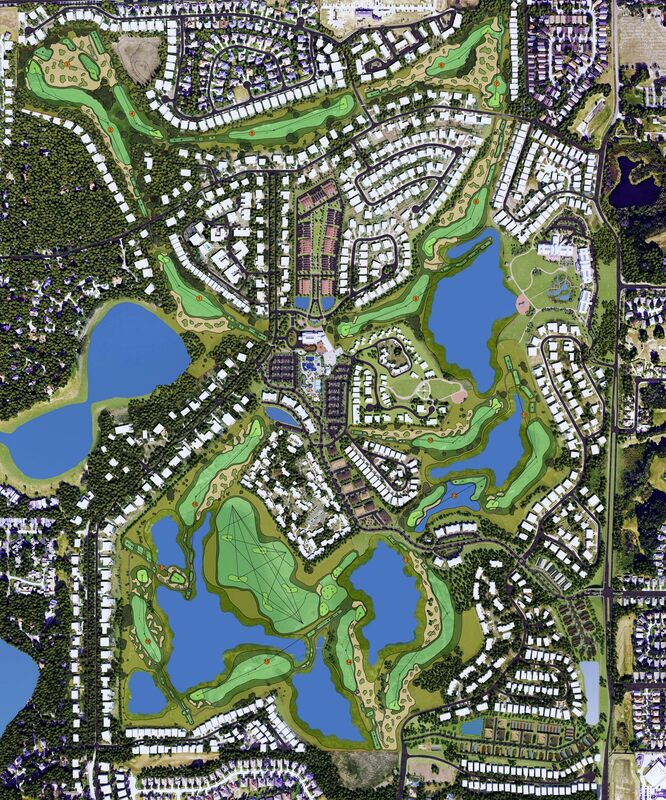 Signature H Property Group selected New Errol as its prototype for an impressive business model that turns floundering golf course subdivisions into once-again thriving and sustainable communities built around the concept of aging in place. The new community includes housing opportunities for every stage of life: from large, single-family homes to luxury townhomes and villas for those that want to downsize and even a senior living campus that includes assisted living – all while providing residents and their guests access to a reinvigorated country club, new amenities and most importantly, the same circle of friends they’ve aged with throughout their lives. New Errol’s much-anticipated Staghorn golf course is being designed by award-winning golf course architect Steve Smyers, whose projects have also included Isleworth, Bella Collina, Old Memorial, and Southern Dunes in Central Florida as well as other courses throughout the United States, Australia, Zimbabwe, England, France, Ecuador, and the Philippines. As a result of City Council’s approval, Signature H will now be moving forward on finalizing design and development plans for New Errol and Staghorn. 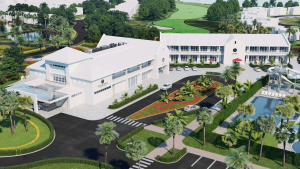 The first phase of the project, which includes a new community spine road, the rebuild of the front 9 holes of the golf course, a community park, the construction of the clubhouse, water park, first building of the assisted living facility and 90 new homes, is expected to break ground in the Summer of 2018.